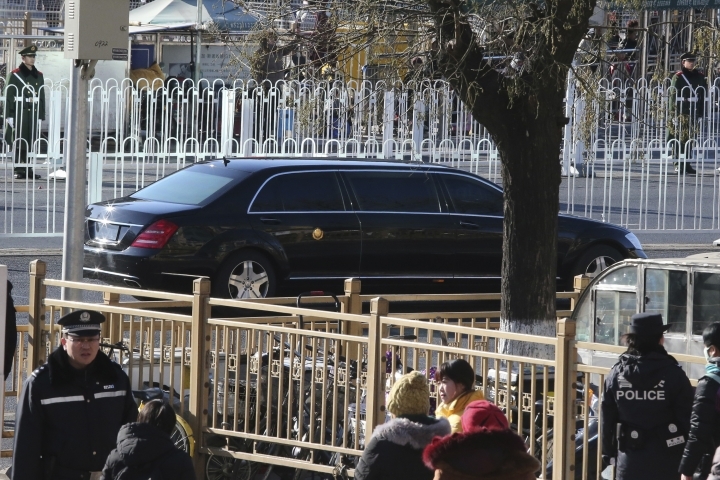 BEIJING — North Korean leader Kim Jong Un arrived in Beijing on Tuesday at the start of a four-day visit, in what's likely an effort to coordinate with his only major ally ahead of a summit with U.S. President Donald Trump that could happen early this year. 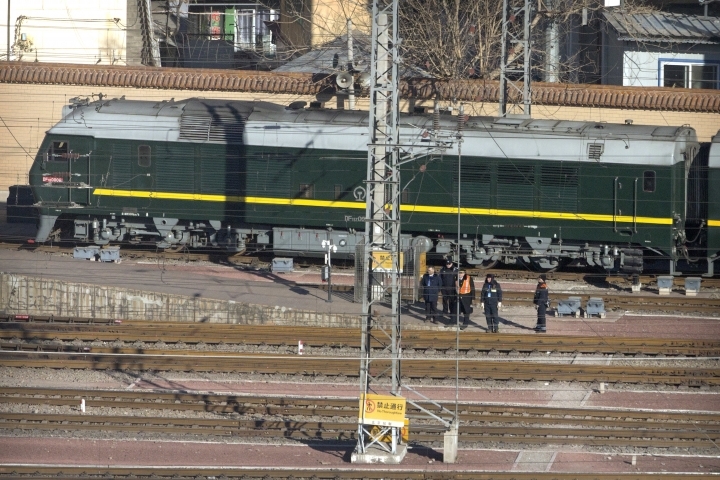 A long motorcade including motorcycle outriders reserved for state leaders left a Beijing train station shortly after the arrival of an armored train consisting of 20 to 25 cars — most of whose windows were blacked-out —along tracks lined by police and paramilitary troops. Kim's trip, announced earlier by both sides, comes after U.S. and North Korean officials are believed to have met in Vietnam to discuss the location of a second summit. 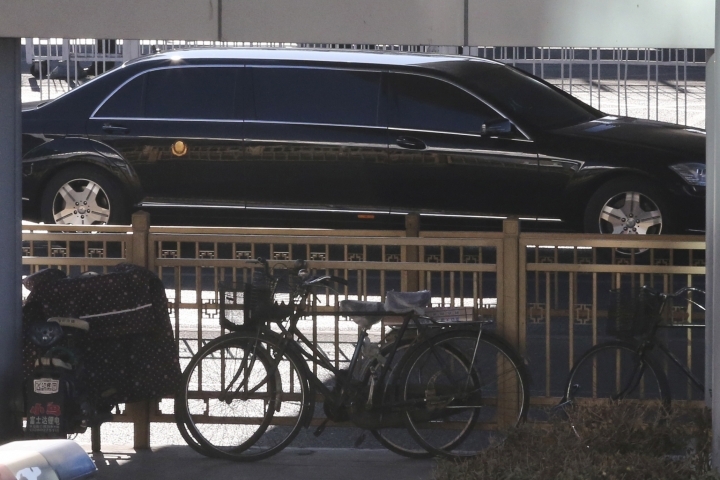 North's Korean Central News Agency said Kim departed Monday afternoon with his wife Ri Sol Ju and other top officials. 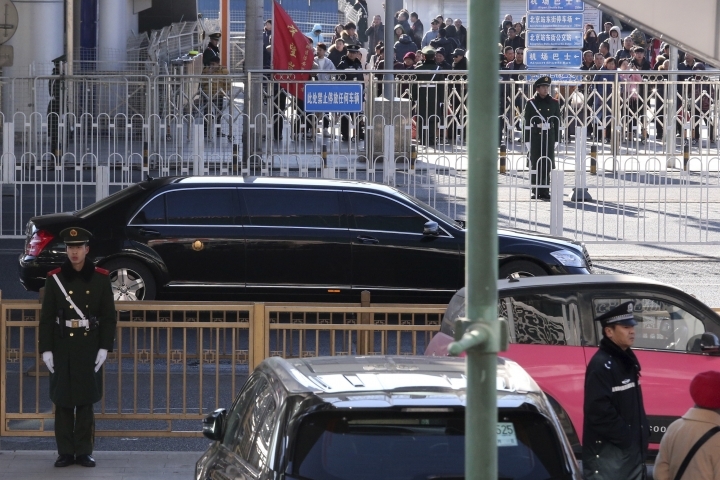 It said Kim is visiting China at the invitation of Chinese President Xi Jinping. Tuesday also happens to be Kim's birthday. 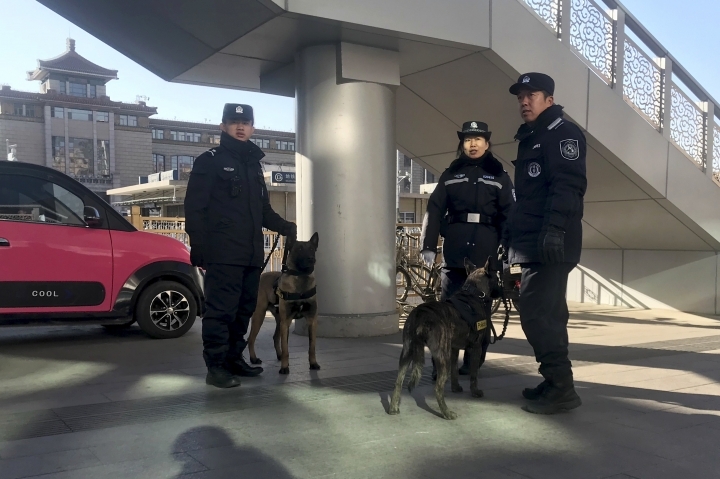 China's official Xinhua News Agency issued a nearly identical report, while Beijing's North Railway Station was cocooned in security, with dozens of police and paramilitary troops patrolling outside. 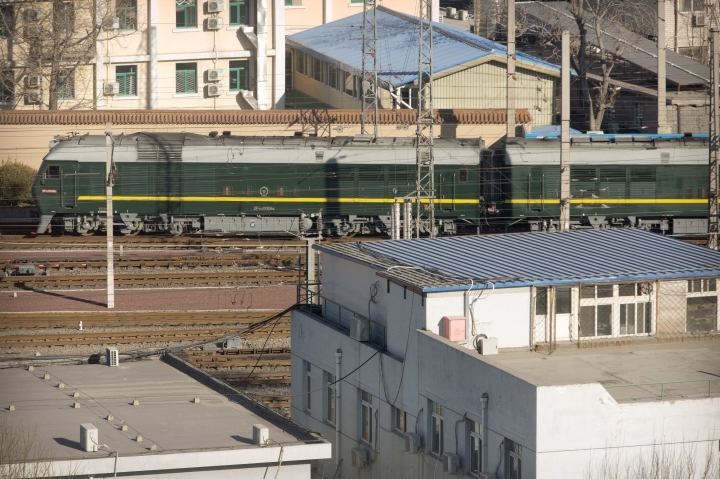 The trip marked a further break with past practice in that it was announced in advance of Kim's arrival, a possible sign of growing confidence on the part of North Korea and China, Pyongyang's most important trading partner and a key buffer against pressure from Washington. 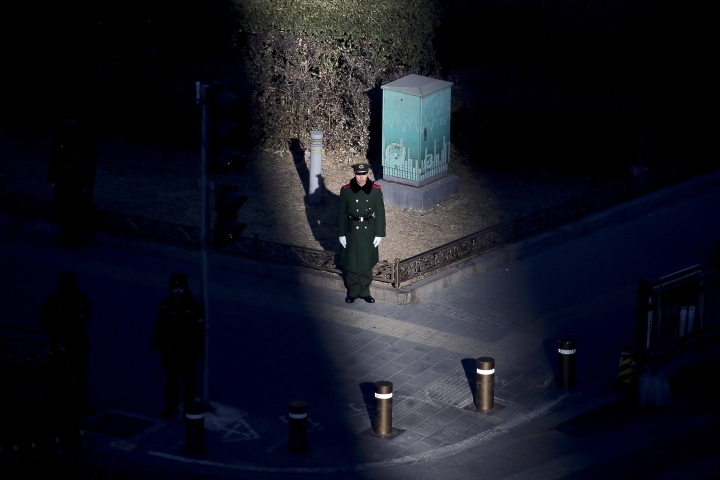 Washington and Pyongyang seemed close to war at points during 2017 as the North staged a series of increasingly powerful weapons tests that got it tantalizingly close to its nuclear goal of one day targeting with pinpoint accuracy anywhere on the U.S. mainland. 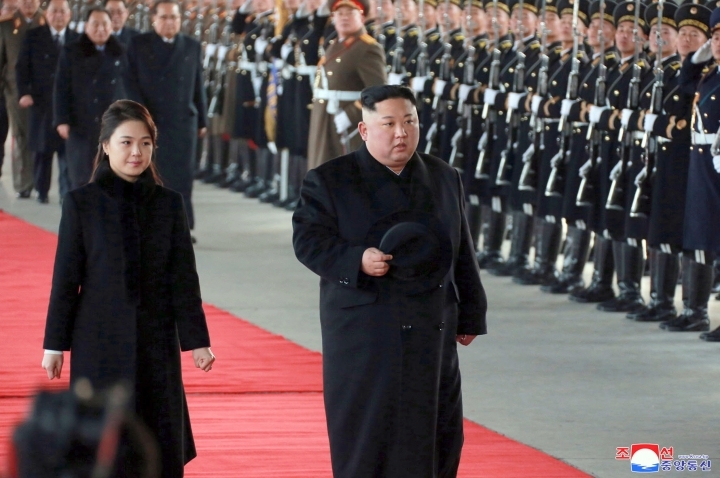 Possibly fearing the economic effect of crushing outside sanctions imposed because of his weapons' tests, Kim abruptly turned to diplomacy with Seoul and Washington last year. 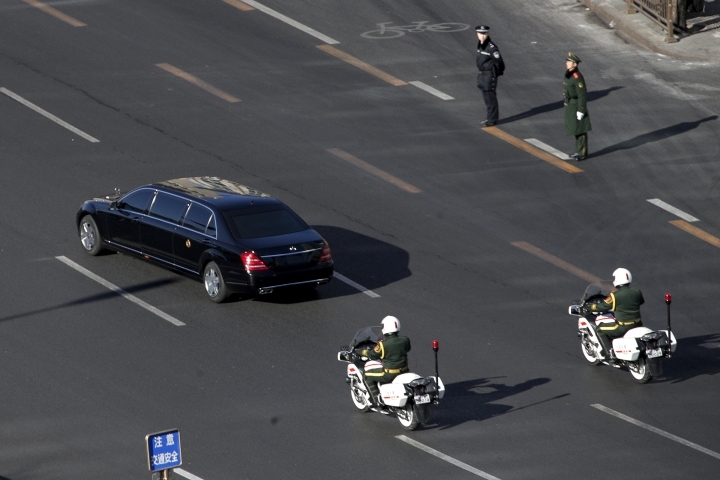 He also visited China three times, notably without a reciprocal visit from Xi in a break with diplomatic convention. But even after what was seen as a blockbuster summit between Kim and Trump in Singapore last June — the first-ever between the leaders of the war enemies — there's been little real progress in nuclear disarmament. Washington is pressing the North to offer up a detailed accounting of its nuclear arsenal, while Pyongyang says it has already done enough and it's time for the U.S. to ease harsh international sanctions that hold back the North Korean economy. Trump has offered assurances that another summit will allow he and Kim to make a grand deal to settle the nuclear standoff and change a relationship marked by decades of animosity and mistrust. 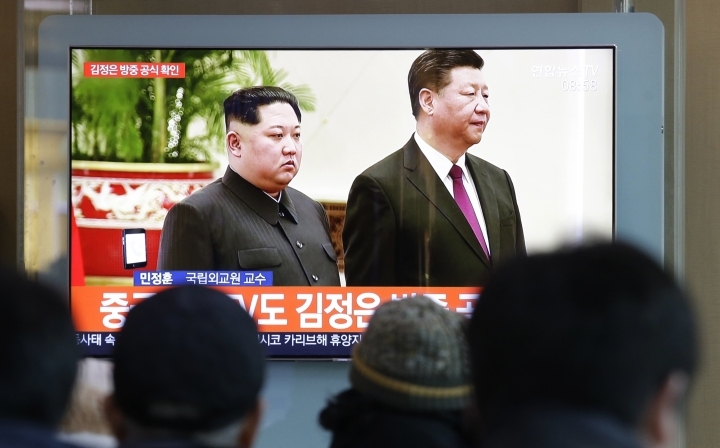 However, outside analysts are highly skeptical that the North will easily abandon a nuclear arsenal constructed in the face of deep poverty and likely seen by Kim as his only guarantee of regime survival. 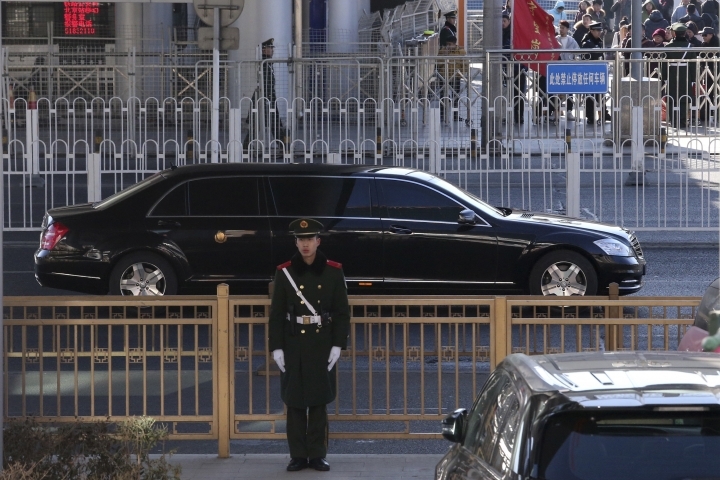 Instead, Kim may be seeking to gauge China's attitude toward sanctions ahead of the talks, including what the North would have to concede in order to win Beijing's support at the U.N. 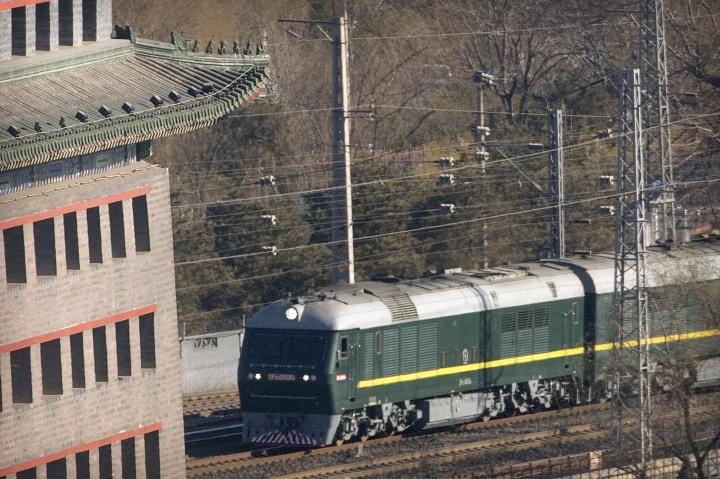 The North has held off on additional nuclear weapons and missile tests for more than a year, possibly in response to China's displeasure, while carrying out its new diplomatic offensive. 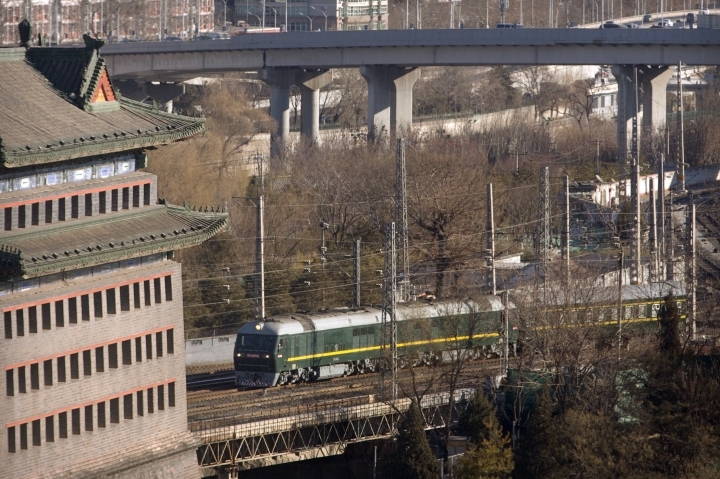 "It is impossible to see the cancellation of all sanctions, but what kind of sanctions can be cancelled and what are China and North Korea's views on that will be discussed," Cheng said. Asked whether China was linking to issues in an interview Monday with CNBC, U.S. Secretary of State Mike Pompeo said: "The Chinese have been very clear to us that these are separate issues." "Their behavior has demonstrated that as well and we appreciate that. China has actually been a good partner in our efforts to reduce the risk to the world from North Korea's nuclear capability. I expect they will continue to do so." 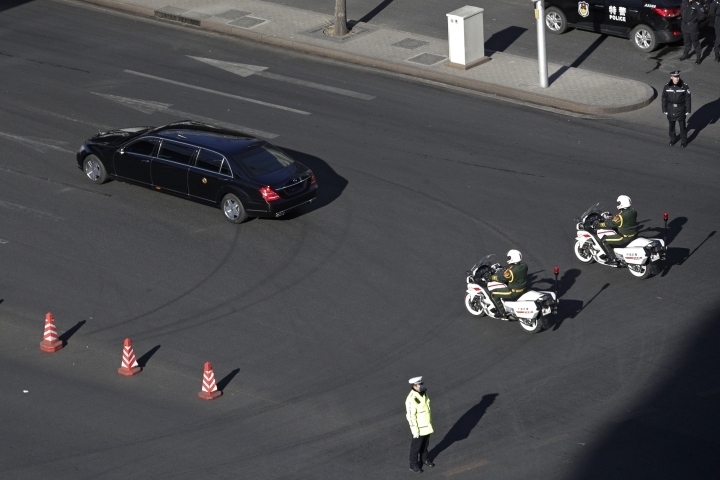 Associated Press writer Foster Klug and Hyung-jin Kim contributed to this story from Seoul.